Bipartisan support for new Iran sanctions growing, despite Obama’s feverish effort to block them & isolate Netanyahu. (Naples, Florida) — President Obama made three key points regarding the Iranian nuclear threat in his State of the Union address. First, the President believes his policies are working to prevent Iran from advancing its highly-dangerous nuclear program. 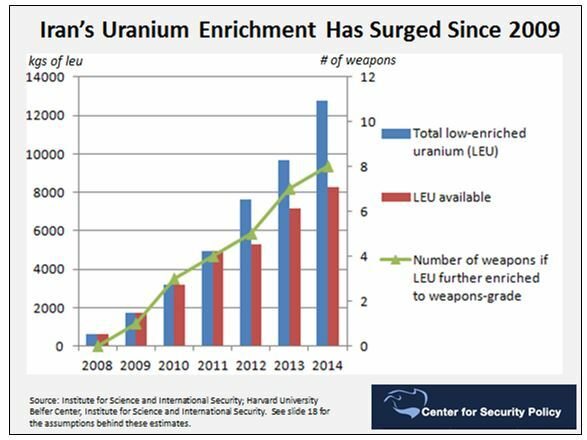 “Our diplomacy is at work with respect to Iran, where, for the first time in a decade, we’ve halted the progress of its nuclear program and reduced its stockpile of nuclear material,” the President declared. Second, the President believes that a truly good and effective diplomatic deal with Iran is not only possible but within reach. “Between now and this spring, we have a chance to negotiate a comprehensive agreement that prevents a nuclear-armed Iran, secures America and our allies — including Israel, while avoiding yet another Middle East conflict,” he told the Joint Session of Congress and the nation. Him who made heaven and earth. Revelation 14:7 saying with a loud voice, Fear God and give glory to Him, for the hour of His judgment has come; and worship Him who made heaven and earth, the sea and springs of water. (Naples, Florida) — Iran’s radical Shia leaders are moving closer and closer to building nuclear weapons and the long-range missiles to hit the U.S., Europe, Israel and our Arab allies.Iranian-backed Hezbollah terrorists just this week attacked, killed and wounded Israelis on the Lebanon border. How it pleased God that Solomon asked for wisdom and knowledge. Wisdom helps us think right, do right, and speak right. You too can please God if you ask Him for wisdom to reach the lost. Glean it from the Bible and pray that God gives you the wisdom to make good use of your time, to make right decisions, and to say the right things to those who are sitting in the shadow of death. See James 1:5–8 for the conditions needed to receive anything from the Lord. With U.S.-Israeli relations heading for a train wreck & threat of Radical Islam rising, what’s next? Where do we go from here? Video of my interview with Greg Laurie. Pastor Greg Laurie and I discuss the future of America, Israel and the threat of Radical Islam. (Riverside, California) — It pains me to say it but I believe it is true. U.S.-Israeli relations are heading for a train wreck. At one end of Pennsylvania Avenue in Washington, D.C., the leaders of Congress have invited the Prime Minister of Israel to address a Joint Session of Congress, and the American people, in early March. These leaders want to hear from the Prime Minister on how we can best work together to protect ourselves from the growing and grave threat of Radical Islam, from crushing ISIS to decisively acting to prevent the mullahs in Iran from building nuclear weapons. At the other end of Pennsylvania Avenue, the President of the United States flat out refuses even to meet with the Israeli Prime Minister. Be continually benevolent. Look at what Jesus said on the subject in Matt. 5:42 and Acts 20:35. The way to an unbeliever’s heart is often through his mouth. The gift of a hamburger many speak much louder of your love than a powerful sermon in a deaf ear. Ecclesiastes 11:1 Cast your bread upon the waters, Cast your bread upon the waters, For you will find it after many days. There is always a temptation to track numbers when it comes to evangelism. It is wise not to do so, because only God knows those who are truly repentant. It is amazing how many evangelists and preachers seem to have access to the Book of Life by citing salvation statistics, but such numbering reveals a lack of understanding of the nature of true and false conversion. Making a “decision,” walking an aisle, or raising a hand do not indicate whether someone truly repents and trusts in the Savior. The fact that we have planted the good seed of the Word of God is evangelistic “success.” The rest is up to God. Human understanding is “darkened” (Eph. 4:18), but the conscience is the area where God has given light to every man. The word “con-science” means “with knowledge.” The conscience is the headline warning of sin; the Scriptures give the fine print. None of us can say that we don’t know it’s wrong to lie, steal, murder, or commit adultery; that knowledge is written in large print on our heart. However, in the Scriptures we see the true nature of sin: that God requires truth even in the inward parts (see Psalm 51:6). The fine print reveals that lust is adultery of the heart, hatred is murder of the heart, fibs are bearing false witness, etc. When a nation murders 57 million babies & ignores gathering storm of Radical Islam, the state of the union is not “strong.” America is in grave danger, and Christian leaders must speak out. 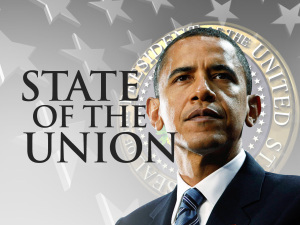 So began President Obama on Tuesday night in his 2015 State of the Union address to the nation and to a Joint Session of Congress. He was not the first American President to declare the state of the union “strong.” But with all due respect, the President is wrong. When a nation murders 57 million innocent babies, the state of the union is not strong.